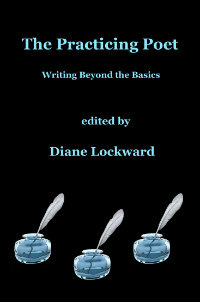 Ingrid Wendt provided the craft tip in the January issue of my monthly Poetry Newsletter. I am happy that she has agreed to be guest blogger here so that I can now offer my blog readers her tip with the addition of a sample poem and a prompt based on her tip. 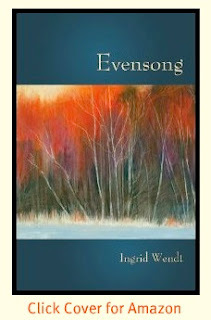 Ingrid Wendt is the author of five full-length books of poems, one chapbook, two anthologies, a book-length teaching guide, and numerous articles and reviews. A Poetry Consultant with the National Council of Teachers of English, she is a popular keynote speaker as well as a poet and teacher of poetry for more than 30 years. Her honors include the Oregon Book Award, the 2004 Editions Prize from WordTech Editions, the 2003 Yellowglen Award from Word Press, the Carolyn Kizer Award, several Pushcart nominations, an Oregon Literary Arts Fellowship, and the D.H. Lawrence Award. Visit "The Writer’s Almanac" to hear Garrison Keillor read two of her poems. “Letting go” is not, and never has been, something I do easily. Downsizing, three years ago, from a 1900 square foot house to just over 1000 sq. ft., nearly did me in. When it comes to poetry, though, I’ve somehow managed to accept—most of the time—the fact that crafting a diamond out of the rough draft of a poem often means leaving out certain gorgeous lines, or wonderful words, or stunning metaphors, or brilliant images, that do (sigh) overburden the poem and so must be cut. Cut. Cut. Cut. Isn’t that what we always hear from writing instructors, ourselves (sometimes) included? But need these words be wasted? Thrown out, never to be seen again? Good news, all you who hate to toss: you can “re-purpose” at least some of these words. And, oh happiness, some day you might use them again; they might even get you out of a jam. Here’s my system. Outmoded though it may be, in today’s digital age, the old-fashioned loose-leaf binder still serves as a place to keep those gems of words / lines / images / ideas I’ve reluctantly tossed out. Prominent among the spines of books shelved next to the thesaurus, rhyming dictionary, and other reference books I keep above my desk, this special binder’s front pages (ahead of entire first drafts of poems “to return to some day”) bear the headings “lines saved,” “lines for future poems,” “favorite words,” “good rhymes,” “images I like.” Etc. What good can this do? Here are two examples. 1) More than half-way through a rough draft of “On the Nature of Touch,” which appears in my newest book, Evensong, I got stuck. Drew a total blank. Went to the notebook, leafed through it for a bit, and found an image–hair dye stains on the downstairs hall carpet like stones Hansel tossed to find the way home–which had come to me during a workshop on metaphor I’d taught several years before. Whoopie! That worked! I was off and writing again. 2) Another poem from Evensong, “Silence,” is a Cento: technically, a poem made entirely of lines cut from other poems. In my case, “Silence” is made of lines from several different notebook pages, not even close to each other, which I didn’t realize resonated with each other and belonged together till I looked at them again in a moment of stress: feeling totally dry and unable to complete the assignment I’d just given students at a retreat. Was this cheating? I did feel a bit guilty, at first. But still, the words were mine, and putting them together anew made a poem I could be happy with. alphabet, where is our refuge? Floor of a faith forever gone. are in us forever. Listen. All those words we never will say, echoing. These lists don’t, of course, consist entirely of lines cut out of other poems. Sometimes I’ll be doing the dishes or talking or listening to music, and I’ll hear myself thinking a line that needs to be in a poem. Sometimes I think a poet is someone who doesn’t think such terribly different thoughts from everyone else; it’s just that we poets catch ourselves thinking them, and recognize their potential. So, if and when I can find some paper, I write them down. Just to get the hang of it, try a Cento of your own, with someone else’s words (at first). Pull out one of your favorite books of poems. 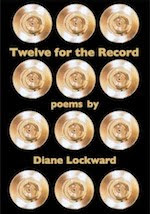 Make a list of some of your favorite lines from some of your favorite poems in this book. Or make a similar list of favorite lines by this and other favorite poets. The words need not even be complete lines: just a phrase or word cluster will do. After amassing 10-15 or more of these lines, choose six or eight lines or groups of words that somehow could go together. Your word processor is terrific for moving them around on the screen. Or print the page and take a scissors to the list. Move the many smaller pieces of paper around, stick in a few connective words, if you must, or more than a few. Now take look at some of your own discarded rough drafts of poems (if you, like I, have kept them somewhere, maybe in the garage). Dust them off, pick out the grains of wheat from the chaff. See what happens when you give them even a little bit of water and earth and sun! I like repurposing lines or images from other poems. We have to take care of the orphans from our work. This is an eloquent post and lesson. I especially like the exercise offered! Thank you. What Time Is the Right Time?